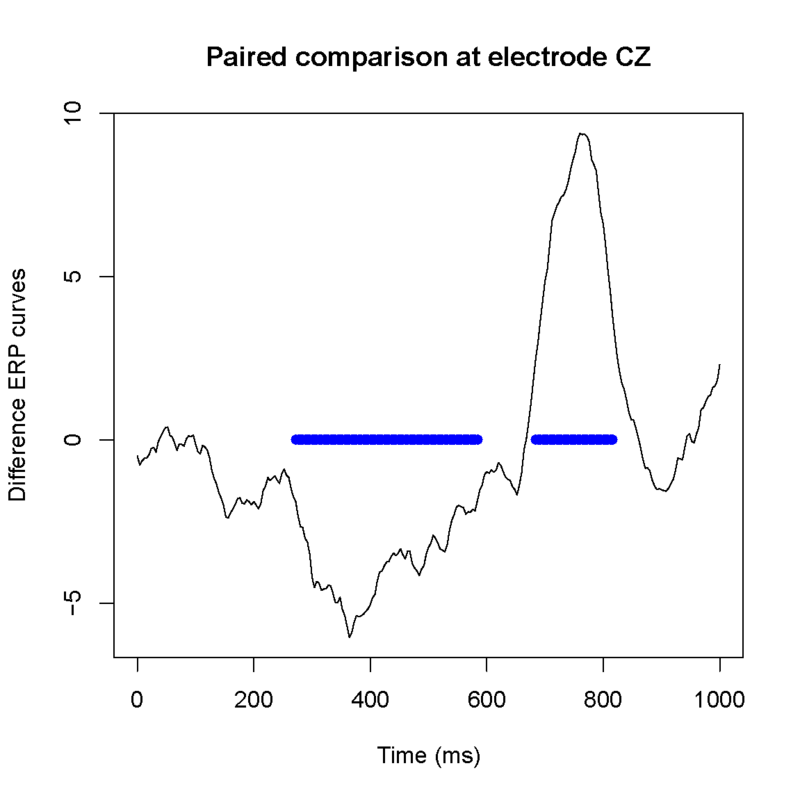 The method proposed by Guthrie and Buchwald (1991), hereafter referred to as the GB procedure, is the first to address the issue of time dependence in ERPs by assuming an autoregressive correlation structure of order 1 for the tests. The GB method starts with a preliminary estimation r of the lag-1 autocorrelation of ERPs. Then, the null distribution of the lengths of the intervals of timepoints for which the p-value is smaller than a so-called ‘graphical threshold’ α, is obtained using simulations of p-values associated to auto-regressive test process of order 1 with mean 0 and autocorrelation r.
is declared significant if its length exceeds the (1-α )-quantile of the null distribution.